Buckle up, true believers! Today, Marvel Entertainment announced the beginning of principal photography on Marvel Studios’ newest movie “Captain Marvel,” which will become the 21st feature-film entry in the Marvel Cinematic Universe when it sees release next spring. Any way you look at it, that’s a whole lot of Marvel! 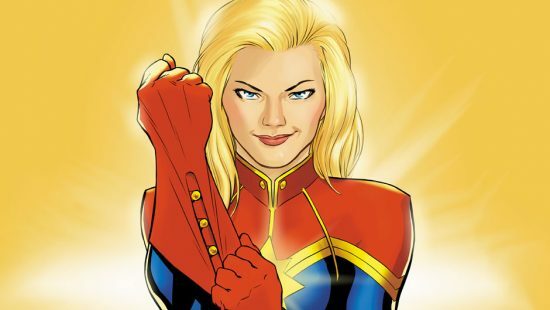 “Captain Marvel” will star Oscar-winning actress Brie Larson (“Room,” “Kong: Skull Island”) as Carol Danvers AKA the titular Captain Marvel, and is being directed by the filmmaking team of Anna Boden and Ryan Fleck (“Half Nelson,” “Mississippi Grind”). Filming is currently underway in Los Angeles, before heading to Louisiana later on to continue production. Marvel Studios’ “Captain Marvel” is set for release on Friday, March 8th, 2019 in theaters nationwide.